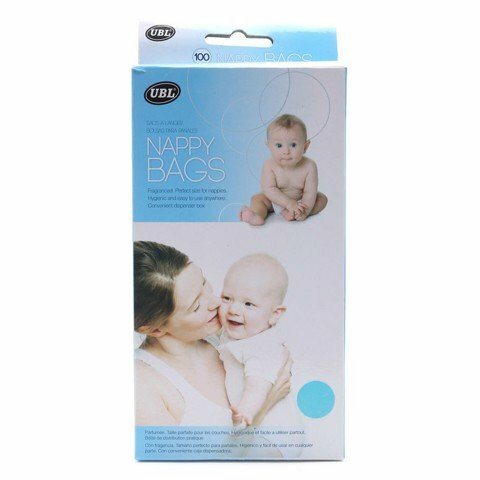 Nappy Bag Scented 100Pk 2Asst. Box Size 20.5 x 11 x 3cm l Bag Size 33.8 x 17.2 x 9cm. Pink and Blue Bags. Plastic. 100G Packaging: Printed Box.